Communities in Judea and Samaria made a 'historic mistake' by being too selective in deciding who could live there, says Avi Ro'eh. 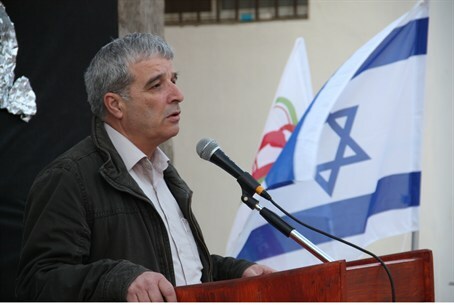 Communities in Judea and Samaria need to be more open to a wider range of the population, and stop setting strict criteria for admission, according to Yesha (Judea and Samaria) Council chairman Avi Ro'eh on Sunday. Speaking at a memorial service for members of the Fogel family of Itamar who were killed in a terror attack in 2011, Ro'eh admitted that setting the criteria for residence, common in many communities in Judea and Samaria, had been a mistake. The committees are generally made up of residents who are interested in bringing in more families who hold values in common with those already living in communities. Thus, a Religious Zionist community would welcome a family with a similar lifestyle, while a secular committee would prefer families with a secular lifestyle. Religious families might not be allowed to buy plots to build a home in secular communities – with the residence committee having the final word on such sales – while secular families might not be “admitted” to religious communities. In many cases, said Ro'eh, families that could have greatly enhanced communities were turned away, resulting in a loss for them. “We made a historic mistake in that we failed to expand the ranks of the population by being too aggressive in implementing residence criteria,” he said. “A direct result of this is the small size of many communities in Judea and Samaria,” which could have been substantially bigger had they accepted more kinds of people, he added. A good example of the positive results of having a wider array of population could be seen in his own town, Kochav Ya'akov, a town northeast of Jerusalem. Several years ago, the town established a separate neighborhood for the hareidi population, called Tel Tziyon, which has been thriving, and significantly increased the town's population. “Of course, we still need to intelligently address the issue of who should move into a community,” Ro'eh acknowledged. “But nearly all communities could, and should, expand their criteria,” he added. Roeh's comments echoed those made earlier today by another prominent community figure in Judea and Samaria. Veteran activist Moshe Zar called for an end to "screening committees" who vet potential residents to their communities. He added that in some cases the Shabak internal security services were manipulating the system to persecute nationalist activists.